Today's trailer is an oldie from Toho. 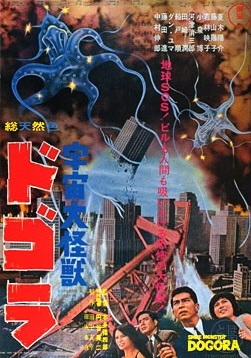 The Earth is attacked by a giant jellyfish that is going after some stolen diamonds. I know that this makes the film sound crazy, and it is, but it is a fun crazy. Give the trailer a watch. Then if you like what you see hunt the film down and watch it. The film is a lot of fun.